Those of you with long memories will remember a classic space movie from 1956 called Forbidden Planet. 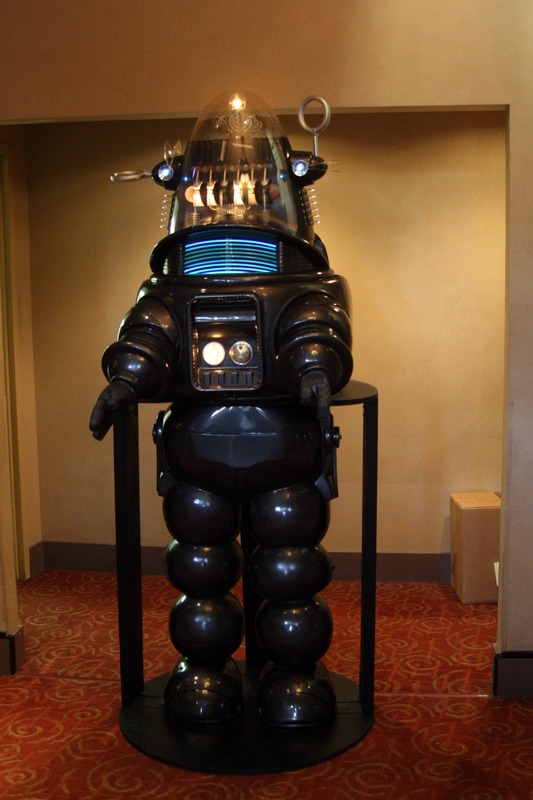 The film (and subsequent cult stage play) features an unusual cinema icon – Robby the Robot. Full of personality, Robby clanked his way around the film and has been doing so ever since in film and TV cameos up to the present day. Robby has helped to set an image of our mechanical friends that lingers today, but in reality the world of robotics is much more diverse, and can even appear stranger than fiction itself. One of the latest robotics projects involving chemical engineers is work being undertaken at the University of Michigan. They are attempting to create robots smaller than a grain of sand and have already shown how chains of self-assembling particles could serve as electrically activated muscles in tiny machines. So-called microbots would be handy in many areas, particularly medicine and manufacturing. But several challenges lie between current technologies and science fiction possibilities. Two of the big ones are building the ‘bots and making them mobile. Michael and the rest of the Michigan team have demonstrated that some gold plating and an alternating electric field can help oblong particles form chains that extend by roughly 36 per cent when the electric field is on. “What’s really important in the field of nanotechnology right now is not just assembling into structures, but assembling into structures that can change or shape-shift,” said Sharon Glotzer, the Stuart W. Churchill professor of chemical engineering, whose team developed computer simulations that helped explain how the chains grew and operated (and I’ve featured in a previous blog). The innovation that led to the shape-shifting is the addition of the electric field to control the behavior of the particles. While the force generated by the fibres is about 1,000 times weaker than human muscle tissue per unit area, it may be enough for microbots. “These chains are essentially wires, so you could assemble them into a circuit for reconfigurable electronics,” said Michael. The team is still investigating how the phenomenon works, but a piece of work that has the ability to grab more headlines than our friend Robby. Good luck to Sharon, Michael and the rest of their team. Definitely sounds interesting for finding out what is happening inside areas difficult to reach. One obvious one is the human body but there are plenty of others.